RecoTech is the coolest proptech event in the Nordics and this year official side-event for Europe’s biggest startup event SLUSH. Grab your FREE TICKET and come to @Messukeskus Dec 4th 08:00-17:00! RecoTech will be whole day full of high quality program: morning session (8-13) with keynote speakers and tips for visiting SLUSH and SpeedMeets (14-17) for startups to pitch their ideas to pitch their ideas to Real Estate and Construction leaders. RecoTech brings together the industry leaders, startups and VCs. 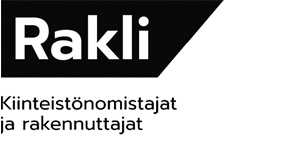 The event is jointly organized by RAKLI, Proptech Finland and Nordic PropTech Initiative. The inaugural ReCoTech Meetup was held in 2016. There were a group of enthusiastic people thinking about ways to speed up renewal of real estate and construction industry. They thought it was time to bring people together with innovative startups and technology visionarys cross industries. Already blooming SLUSH was found as a great partner and platform since it would make easier to bring in people globally and foster the serendipity meetings.